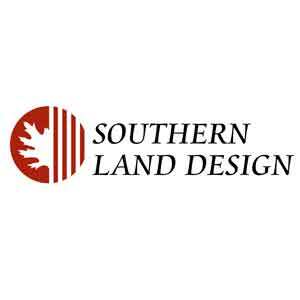 Who is Southern Land Design, LP? We are a full service landscape design and build firm focusing on Dallas Fort Worth DFW Texas. If you can dream it, we can design and build it. Specializing in Outdoor Living Areas, Cabanas, Water Features, Pools, Spas, Ponds, Fountains, Hardscapes, Decorative Concrete, Stone Masonry, and much much more. Southern Land Design = Quality. Service. Professional. Residential and Commerical Landscaping services for Dallas Fort Worth DFW Texas. Focusing on Pools, Water Features, Hardscpaes, Decorative Rock, Stone Masonry, Plants, Outdoor Living Spaces, and much more. How Does Southern Land Design Stand Out From The Crowd? Our architects, designers, and engineers have the expertise and experience to create, design, and build top quality installations. We work tirelessly to ensure we deliver what we promise. We will not stop until the customer is happy. We are in the business because of a shared joy in creating and building beautifu and quality landscape solutions. Our enjoyment shines through in everything we do from start to finish. Specializing in world class water features and swimming pools. We have excelled and grown stronger by offering quality designs and service, with a focus on creativity and satisfying our customers. Southern Land Design is founded when the owner Max Cook decides to take his passion for landscape architecture out on his own. He put together a solid team to work with and pushed forward. We have many satisfied customers from all over Dallas Fort Worth DFW Texas. Southern Land Design and Sue Plauche have always provided outstanding service. The attributes that I appreciate are, attention to detail, project creativity and a willingness to insure the project is completed to the customer's satisfaction. Design build landscape firm with an eye for detail and creativity. After working as an independent landscape designer, I went to work for the Architect, Max Cook, who owns this company. Max is extremely knowledgeable in both design and construction of major landscape projects and has enhanced my design skills to a new level. The scope of work that Southern Land Design can provide ranges from landscape designs and installation to construction of luxury outdoor living areas. The eye for detail and quality work goes unmatched. From a pricing point, they are competitive in every aspect of their work.